My absolute favorite tip is wrapping your kitchen shelves and drawers with Press and Seal wrap. Applying this wrap after wiping down the shelves and drawers will make next year’s cleaning a breeze. Simply pull off the existing wrap and apply new wrap for the following year. Doesn’t it feel great to have a clean and organized kitchen? These checklists definitely help me stay organized throughout the year. 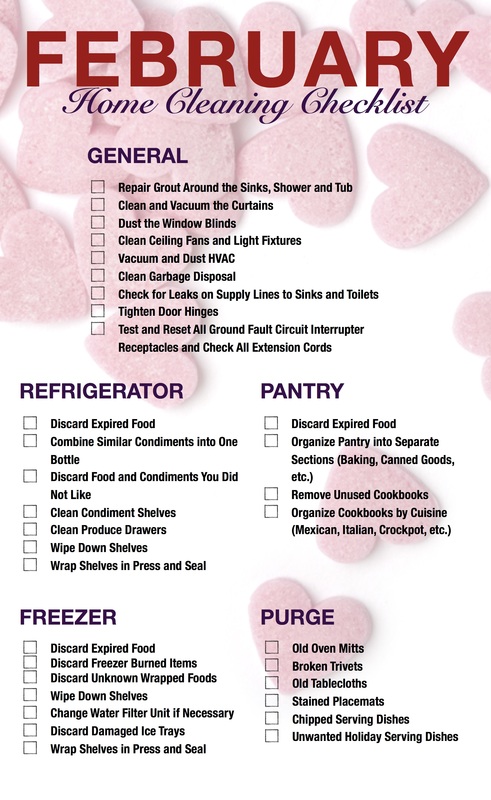 Stay tuned for my March home maintenance and cleaning checklist.